Some things are really glamorous. Heck, just about anything that is not only new to you but brand new on the market is pretty cool. However, there can be things that you can do that will make your old stuff new – well newish. It was only a few days ago that I was busy cussing out my smartphone. I didn’t think that it was that old. Perhaps the manufacturer used cheap parts. Perhaps that phone was really not so good to begin with! I was really getting upset when by accident I happened across a Youtube video about cleaning the USB charging port. The idea is pretty solid. 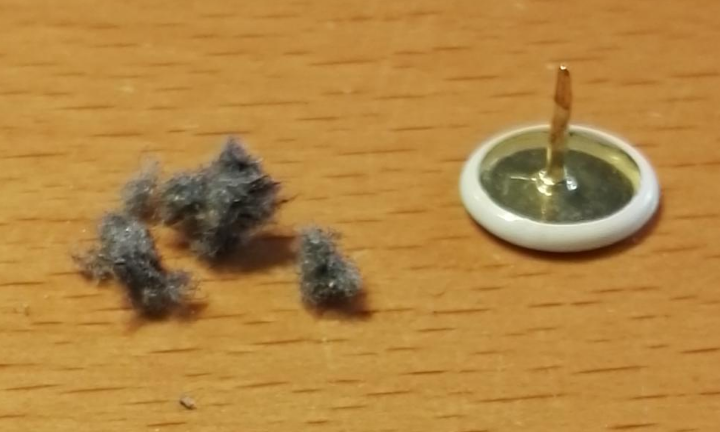 How much lint has accumulated in the USB charging port each time you take your phone out of your pocket. Is it the reason my USB cable seems to fall out without hardly any movement while charging on my desk. That particular Youtube video was suggesting I get a small metal pin and file it down. I watched some other videos and eventually I did find a more rational approach. Instead of a metal which may really damage the port or channel some static directl into the device I found a video about using some thin plastic packaging that is also fairly strong. Using this homemade tool you can very carefully pull out the tiniest pieces of lint. If you are careful, thorough and keep at this you would be surprised at how much can be pulled out. This is more fluff that you could expect to find anywhere other than your dryer. Indeed once I finished with this small cleaning/maintenance job the USB cable still worked but now it would stay in unless you pull it out. This was quite the difference from falls out if you look at the phone cable too long. I am unhappy that I could not find that original video but I did find a similar one. I would recommend you are careful. It does make sense that a bit of maintenance will extend the life of any of your devices. This was a great topic. Upkeep of your device is a great idea and extending the life of the phone is a must when they are so expensive. Thanks for the instructive blog!! !